Tis almost the season for giving, so before you trek out to the malls to take care of your loved ones, why not give yourself a little treat? Now this piece might seem like a shameless flogging of Amazon MP3, but why the hell not? I’m sick of queuing up in the cold on Record Store Day only to get elbowed in the eye from an eBay goon who doesn’t know his Yo La Tengo from his Sebadoh. Non-RSD days have been equally depressing, and it’s not the stores’ fault. Most regular CD releases have been reduced to disposable “eco paks” with little to no artwork or liner notes. Anything worth owning in the physical form is now a Super Deluxe Edition that comes with its own financing plan. Now I love my Mac and my iPhone and my Ashton Kutcher as Steve Jobs screensaver, but my love for all things Apple stops at iTunes. You don’t buy music from them so much as rent it and if you make the slightest change to your operating system, you have to re-authorize access to your own music library. Plus the prices for disembodied albums that will never collect dust on your basement shelves is quite ridiculous. So that’s why, I am am out and proud Amazon MP3 guy. Their files load automatically into my iTunes program, they’re priced better and they never lock me out. And if I want a CD, they ship it to me and give me immediate gratification with an AutoRip MP3 download and instant access via their superior streaming player. So, to that end, I went on a bit of a bender this week and want to share the spoils. I’m assuming most of these sale prices will be done by the end of the day — or the end of the week at the latest (the $5.00 deals tend to be refreshed on the 1st and 15th of each month) — so grab em today. This delicious disc featured prominently in Popdose’s “10 Most Awesome New Wave Comebacks Ever” round-up a few months back. You can also grab the 10-track b-sides collection here for $6.99. So you’re all in (more than 20 tracks) for a hair more than what they’re charging for the single-disc album on iTunes. I was kinda over M.I.A. after the whole Madonna/Super Bowl sell-out, but when it comes to seizure-inducing, politically-charged audio collage death matches, nobody does it better. Total earphone candy. In a rare turn, Amazon gets an exclusive track, ‘Like This’, that iTunes does not have. So you save four bucks and get an extra track. What’s not to love? Well, except for the digital booklet which is unreadable because my vision has gone to crap. 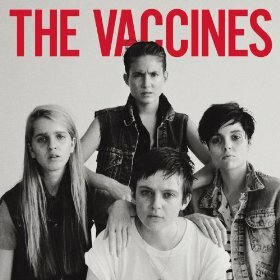 What did you expect from the Vaccines? 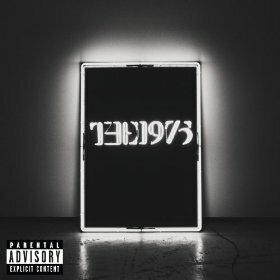 A decent follow-up to their decadent debut album — and damn does this deliver. Big meaty hooks and lyrics that are both brash and dapper at the same time. ‘I Wish I Was a Girl’ is a sinister new classic and ‘Teenage Icon’ will have you dancing like an ‘Oi Boy who wandered onto the American Bandstand set. The blue group’s leading man, David Schelzel, chatted in depth with Popdose right before the release of The Ocean Blue’s first album in more than a decade (click here for the interview). 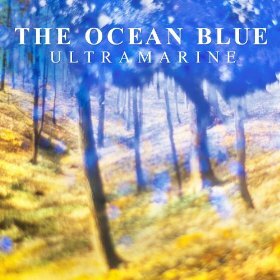 What a beautiful album Ultramarine turned out to be — a true return to form and a bold step forward. Hopefully you’ve caught them on tour, if not, keep an eye out. Let’s face it, Gagaloo over-hyped this album since the day after Born This Way dropped. The hover dress. The Miley-eclipsed VMA performance. The tepid first single, ‘Applause’. But she is still one of the most talented musicians on the planet and her albums tend to deliver. I am listening to it as we speak and while it’s no home run, it’s definitely a line drive down the center (if that’s even a baseball term). She sings about what she knows, fashion and fame, but if Bowie can do it, why not her? It’s $14.99 on iTunes and only $5.99 this week here, so shake your kitty and get it fast. Cilmi chatted with Popdose live from the studio while she was recording The Sting (click here to read it). Like Gaga, this is Cilmi’s third at bat and she’s aiming for the fences after a bit of a misfire second outing (the commercially weak but creatively awesome, Ten). Whereas Gaga is treading water to some degree, Cilmi stretches her range and the result is very sophisticated and exciting record. If you’re still mourning Amy Winehouse, Cilmi’s sultry voice is sweet, sweet proof that life goes on. I’ve been a Jett fan for 33 years — but her latter-era output tended to deliver great singles more than great albums. Until now. 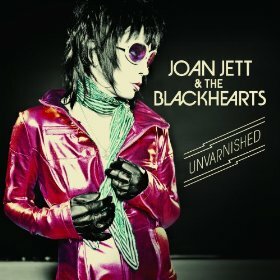 Unvarnished gets a boost from Dave Grohl (on the decent ‘Any Weather’) and Against Me’s Laura Jane Grace (on the excellent ‘Soulmates to Strangers’), but it’s the original ‘TMI’ that really plants Jett back into the street fighting spirit we haven’t seen since ‘Nag’ 30 years ago. A very winning album from a beloved, ageless icon. 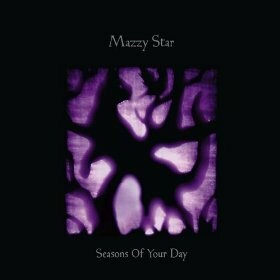 If they ever weaponized the dreaminess of Mazzy Star’s Hope Sandoval and the Sundays’ Harriet Wheeler, entire cities could be felled into never ending daydreams. After far too long out of the spotlight, Mazzy Star returned this year with an album that sounds as if it was recorded the same day as ‘Fade Into You’. Lovely, hazy and yet modern, fresh and captivating. On tour now. Every hipster likely has a romantic partner who prefers mainstream pop, so it’s best to keep a few tolerable discs on ice in case of emergency. 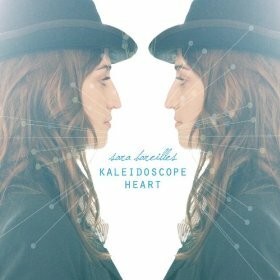 My wife keeps Sara Bareilles on near constant rotation and I couldn’t be happier. Sara climbed out of the clubs in LA. I saw her play Hotel Cafe years before ‘Love Song’ took over the world. This second major-label outing includes the hit ‘King of Anything’. 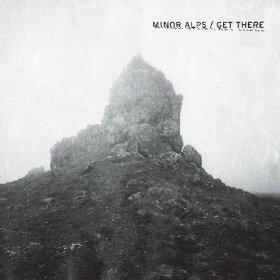 Minor Alps is a collaboration between Matthew Caws of Nada Surf and Juliana Hatfield. Whereas other dynamic duos, Susanna Hoffs/Matthew Sweet and Billie Joe Armstrong/Norah Jones went the covers route (on the charming, 80’s themed Under The Covers Volume #3 and Everly Brothers tribute, Foreverly, respectively), Minor Alps is 100% original. A perfect mix of delicate harmonic ballads intermixed with full-blown indie rockers. 20 years into their respective careers and they sound as fresh and urgent as any breakthrough indie buzz band as SXSW. This album inspired my “New Wave Comebacks” story — and yet, I forgot to put it in. Why? Cuz I’m an idiot. Or perhaps a genius, because this 2011 humdinger was just expanded and reissued. $18 might seem expensive for a digital album, but try tracking down these tracks any other way. The limited edition vinyl box set costs a fortune and was instantly sold out. For fans of lush, melodic, 80’s new wave Brit pop, this is a stunning return to form. 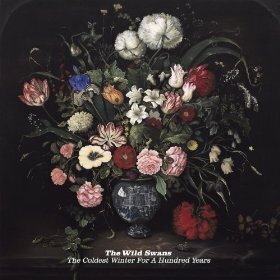 I discovered the Wild Swans at the height of the Sire Records heyday on one of their “Just Say” compilation discs (the stellar ‘Bible Dreams’). 30 years later, the band hasn’t aged a day. Kristen Hersh’s collective rarely disappoints. This is the one album of the bunch I think I’m gonna wait and get on CD — since it comes out with an entire book and the whole thing will be less than $20. But if digital is your thing, you can’t go wrong with 32 tracks for less than $10. 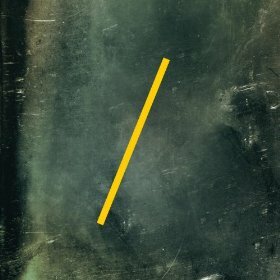 And finally, another one of the year’s best new albums comes from a band I have not heard from in 30 years, and to be honest, didn’t pay that much attention to the first time around — my bad, I now plan on revisiting the entire back catalogue. 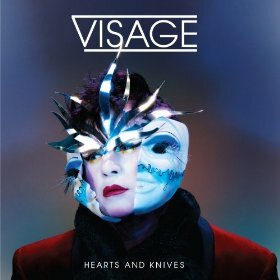 Steve Strange’s voice hasn’t aged a day and his album sounds both like fresh modern dance music AND the album Human League has been trying to make ever since Crash. 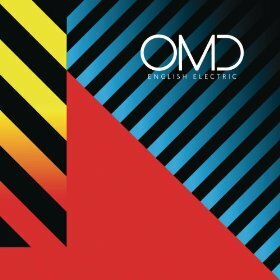 If you like new romantic and new wave, this album and the OMD disc are the perfect one-two punch. And then enjoy this strange and wonderful non-album track — unlike the polished perfection on the album, this song sounds like the Residents meets Kraftwerk meets Visage’s cover of the Stones’ “In the Year 2525″ — I love it.